Wearing a custom-made gown is swiftly becoming an increasingly popular choice among modern brides. Why go through the struggle of finding the perfect silhouette, fabric, and shade of white (ivory or pearl?) when you could build your own masterpiece from the hem up? As with all outfit planning, the most enjoyable part of the process is seeking inspiration; and chances are you’ll be spending more time with Instagram and Pinterest than with your bridesmaids. Spring Couture 2018 recently took over Paris in a whirlwind of beads and feathers. For decades, the highlight of Couture Week has been the Chanel bride. In recent years, designers such as Giambattista Valli, Elie Saab and Christian Dior have followed suit. Now, we’re not suggesting you splurge on a Chanel Haute Couture piece for your wedding... but a girl can dream. Rather, we’ve compiled a list of our favourite couture pieces to kickstart your wedding dress brainstorming. As the trailblazer of bridal couture, it’s unsurprising Chanel leads the pack with the most extravagant wedding dresses. This showstopper in particular is the sum of 40,000 beads, 5650 stones, 74,300 sequins, and just 820 short hours of work. 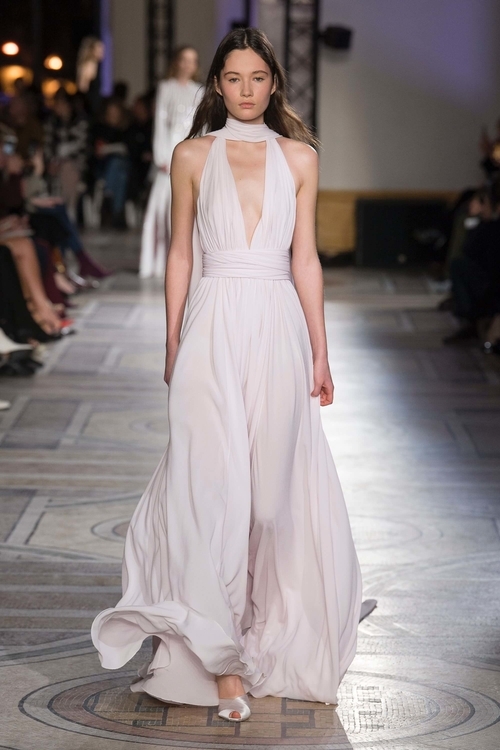 Significantly more pared back than Chanel, Italian designer Giambattista Valli's bridal offerings were romantic and minimalist, with draping being an underlying trend. Such simplicity could double as a romantic, alternative bridesmaid option or a minimalist bridal gown. 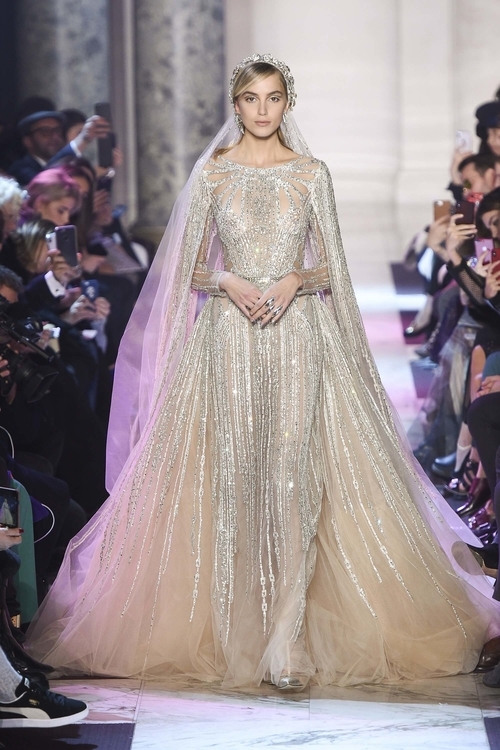 Renowned for his affinity for sparkles and extravagance, Lebanese designer Elie Saab dresses the likes of Beyoncé, Angelina Jolie and Gwyneth Paltrow, even princesses on the regular. His collection is a convincing argument for going all out on your big day. Christian Dior’s collection was a structured affair, with laser-cut detailing perfectly toeing the line between delicate and alluring. Why not choose a partially transparent wedding dress for something a bit more daring? Now that you've got your inspo for an alternative wedding dress, time to start thinking about your tunes. Majestic Wedding DJs are a Perth wedding DJ hire service, specialising in alternative wedding music. Our team of experienced DJs have become a favourite at Perth weddings, so browse our various packages here.